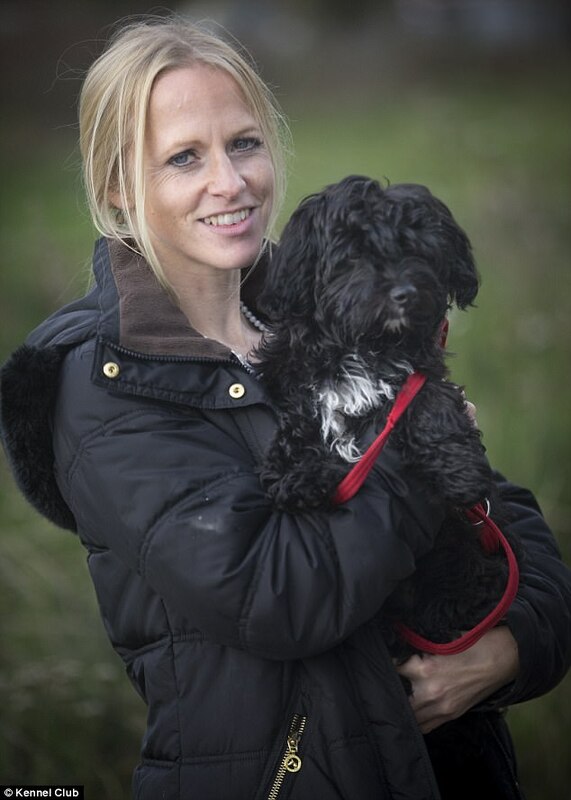 If you have a stressed out busy working life - then the answer is simple… get a Havanese. Nicknamed the Velcro Dog - because it sticks so closely to its owners side - the Havanese proved the best at busting stress levels in a study conducted by the Kennel Club. They ran a stress busting clinic for stressed out London executives, and discovered that the Havanese came out top. 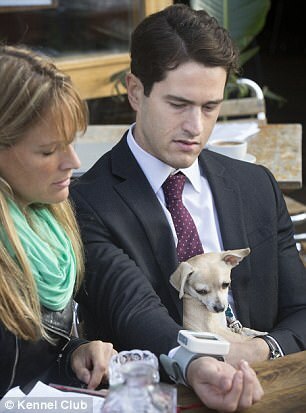 They measured participants' heart rates, blood pressure and cognitive thinking ability, and those who spent time with four month old Havanese pup Dora showed the biggest decrease in stress levels. 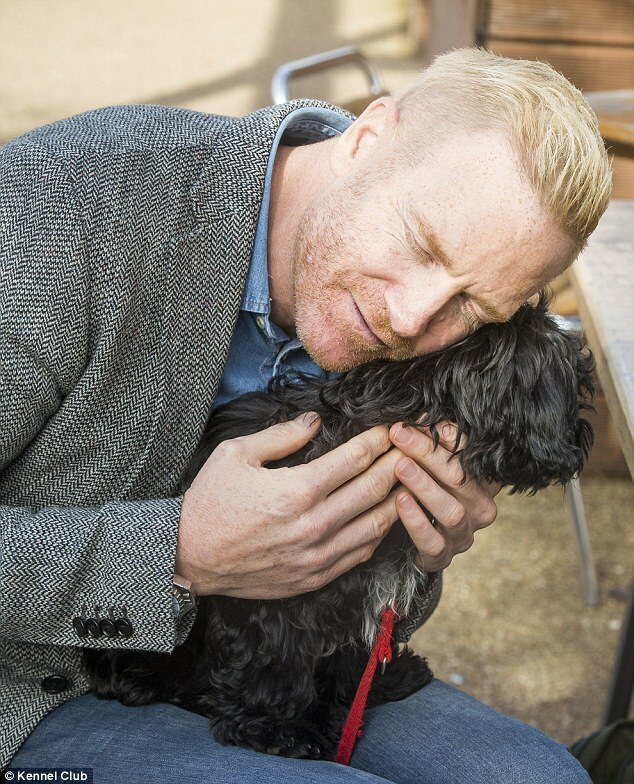 Psychologist Sophie Hall, from the University of Lincoln, who monitored the stress levels at the clinic which took place in Hackney, London, last week, said: ‘The calming effects of owning a dog is well documented, and we saw this at the experiment today. 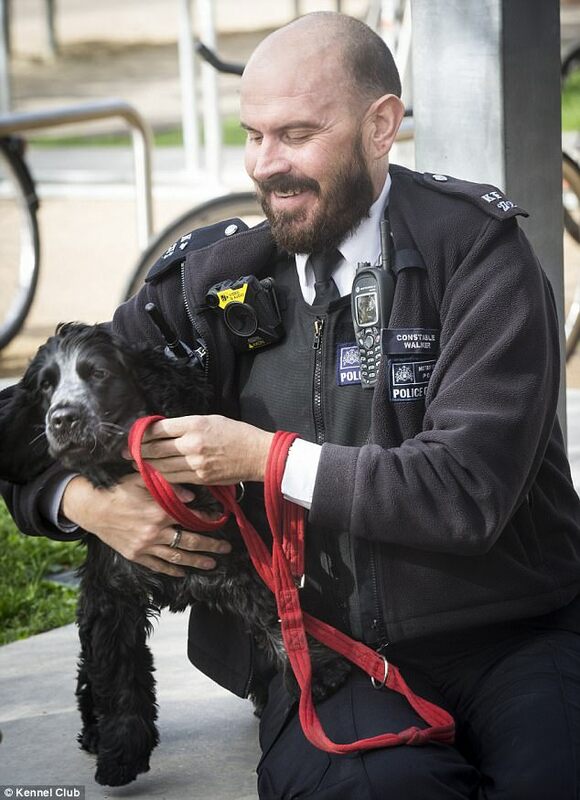 Amongst those who attended the first of its kind clinic, run by the Kennel Club, was a Metropolitan police officer, two City insurance workers and a London midwife. 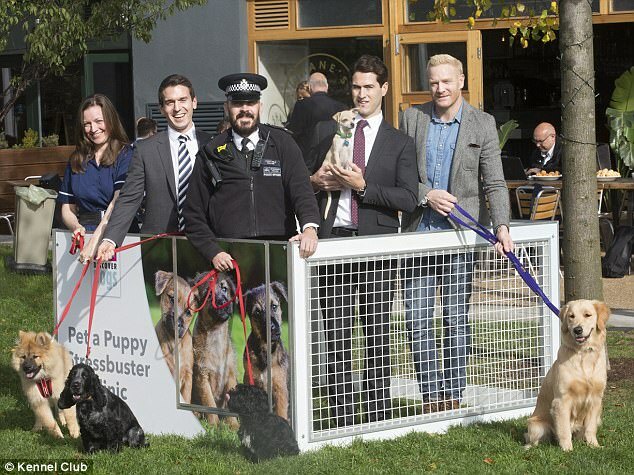 Each person had their stress levels monitored before interacting with the puppies, which included a Chihuahua, a Golden Retriever, a Cocker Spaniel, a Havenese and a Eurasier. Each person was also set a puzzle task before and after playing with the puppies, to measure their cognitive function and productivity levels. 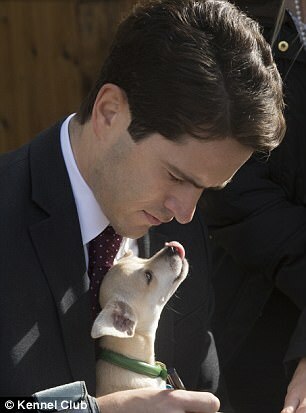 A spokeswoman for the Kennel Club, Heidi Ancell-Day, said: ‘All the puppies produced calming effects. A lot of people nowadays have a stressful job and whether its working in or outside the city, those stress levels can be reduced by interacting with puppies. ‘The Havanese had the most productive results and seemed to have the most calming effect of them all. 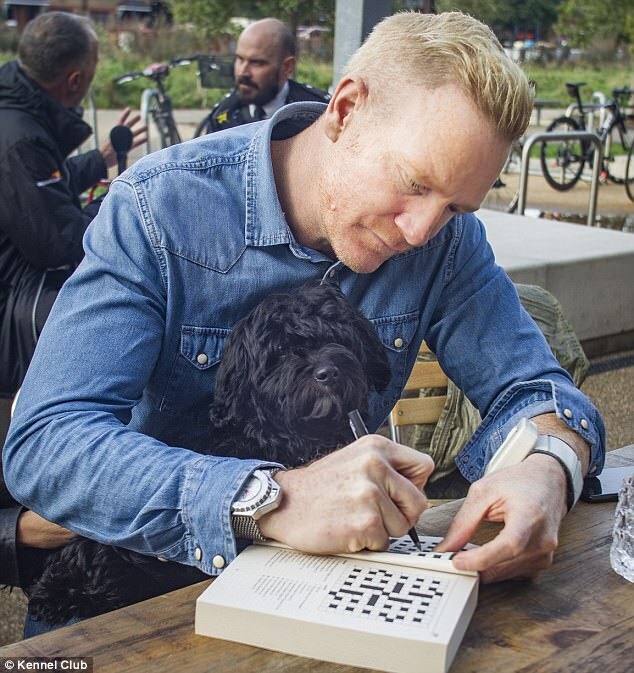 The clinic was also attended by dog lover and former sprinter Iwan Thomas, who has just taken part in Bear Grylls Celebrity Island. Sinead McDermott, 44, has worked for many years as a labour ward midwife in St Mary’s Hospital in Paddington. She said: ‘As wonderful as midwifery is as a profession it can be very stressful. There are many factors factors contributing to stress in the workplace, however ones in midwifery are staff shortages and sickness which can result in higher work loads and unsafe practice. ‘I went to Ireland every year to visit my grandparents during the summer holidays and they always had dogs, such as a labradors and Irish setters. The stress clinic will be available to visit as a one-off this weekend at the Eukanuba Discover Dogs - London’s largest dog event - at Excel London. Is MAFS star Gabrielle Bartlett now dating Sean?